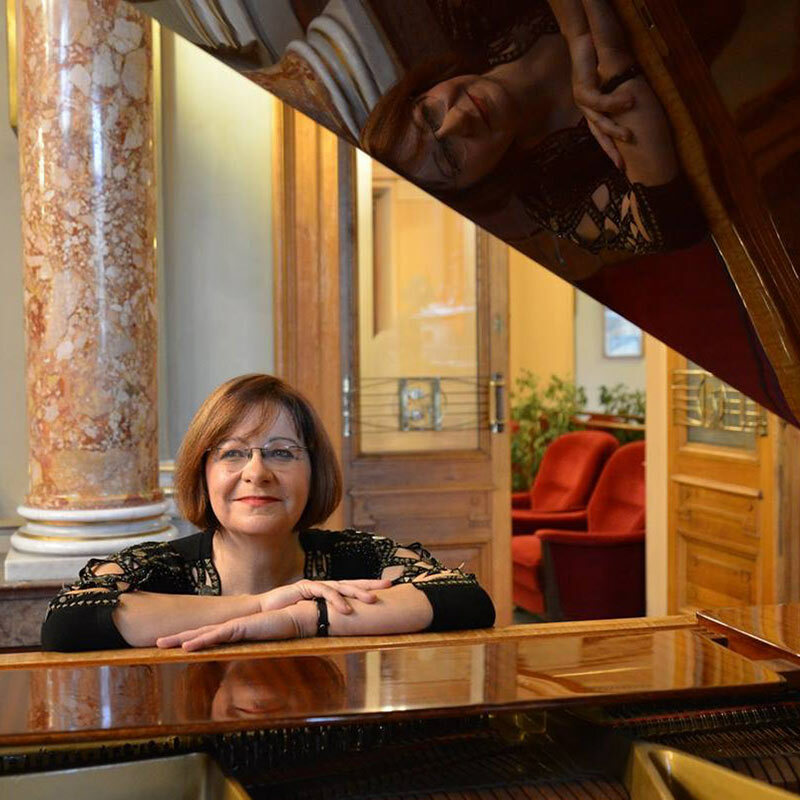 Since 1980 she is Professor for piano at the Pilzn Conservatoire from year 2001 externally cooperates with Zapadoceska College in Pilzn. Graduated in 1978 from the Prague conservatoire as student of Prof. I. Skalakova. Vìra studied at the Academy Music and Dramatic Arts in Prague – class Prof J.Panenka (1979-84), achieved very positive appreciation from musical critics promoted later Beethoven sonata (op.111), transcendental etudes F.Liszt and Sostakovic sonata (number 2) on her graduation. Contribution for her further musical education was a short term attachment to Prof J.S.Tkac of the Kiev Academia of Music This school recommended Mullerova to participate in international piano contest in Tokyo (1981), where she became the only one Czech contender into narrower selection of contestants. She studied Chamber music in Prague with Prof Panenka and in Kiev with Prof N.S.Grisko. During her studies she successfully participated in many national and international contests. Since sixteen years old Vera had very extensive concerts activities include solo performances all over Czechoslovak as well as concerts abroad: in Russia, France, Slovenia, Germany, England, Japan and USA. She appears with leading Czech and foreign orchestras and conductors. Her other musical activities involve her repeated attendance in jury panel of international competitions organized by institution Anglo- Czech Trust in London or master classes at the International Summer course of Frensham Heights (Great Britain). In cooperation with the Czech radio she produced around fifty recordings, successfully coo- works with Czech television or musical editorship (Panton, Matthew, Avik) and Slovene radio (Lublana, Maribor).